With just five minutes remaining in the 2014 Bahamas Billfish Championship, Wave Paver hooked up to a blue marlin. A minute before that, Jr. Davis and his team were in second place for the overall championship title. This blue marlin release would earn Wave Paver 600 points and a second place finish for the Marsh Harbour Championship and 500 bonus points to go along with that. Those points combined pushed Wave Paver above then leader Marlin Darlin for the Championship win! Jr. Davis has fished the Bahamas Billfish Championship every year since 2006. In 2011 the 61’ Garlington finished second overall. 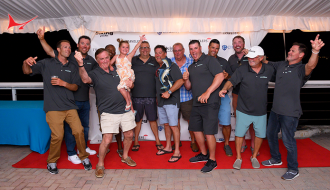 This year, Wave Paver fished all four tournaments placing third in the Treasure Cay Championship and second in the Marsh Harbour Championship. Points were earned by the Kissimmee, Florida team for releasing six blue marlin, three white marlin and two sailfish. Including bonus and participation points the team finished with a total of 5700 points. Team Marlin Darlin led the 2014 Series going into the final leg at Marsh Harbour. Bob Jacobsen fished his 62’ Spencer in only two of the four legs but made an impressive showing placing second place in the Guana Cay Championship and first place in the Treasure Cay Championship. The team from Clearwater, Florida earned their points by releasing five blue marlin, four white marlin and one sailfish. With bonus and participation points they finished the series with 5200 points. The team won a custom designed stainless steel Bodo Much trophy. No stranger to the Championship stage, team Fa La Me finished the Championship series in third place. 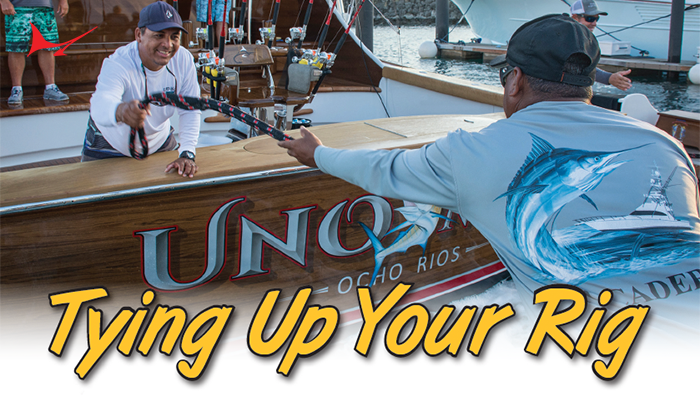 The 2012 overall champion, Frank Rodriguez led his team to 4300 points by releasing five blue marlin and one white marlin. The team from Winter Park, Florida fished only the Treasure Cay Championship and the Marsh Harbour Championship. However, they made a strong showing in both legs – placing second in Treasure and third in Marsh Harbour. The team, fishing aboard a 70’ Viking, was presented with a custom designed stainless steel Bodo Muche trophy. BBC President Jennifer Dudas presented personalized appreciation awards to three teams that fished all four tournaments in the 2014 series. Those teams were Wave Paver, Ma Sheila and Island Time. 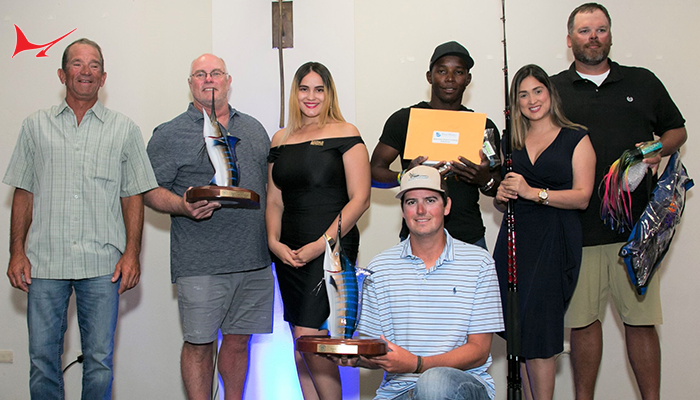 Jr. Davis’ personal cumulative 3600 points for the season earned him the Jim Lambert Memorial Trophy for being the Top Angler in the 2014 Bahamas Billfish Championship series. Jim Lambert was an avid BBC competitor for years and won the Championship in 1998. He was instrumental in the establishment of the BBC’s Scholarship Fund. The trophy is given in his memory by Smith-Merritt Insurance and Lucantha Insurance each year. Wave Paver captain Russell Sinclair received the Lindsay Forde Memorial Trophy sponsored by Steve and Jody Lewis of Lewis Marine Group and presented by Liz Forde and McKenzie Forde. Capt. Sinclair and mates Jerry Owens and Ryan House each received the Top Captain and Top Mate trophies. These are scaled down replicas of the perpetual Top Crew trophy located at the IGFA headquarters in Dania Beach, Florida. Monica Higgs of Abaco Gold, creators of the BBC Championship ring, presented Jr. Davis with the custom, hand designed Championship ring. Wave Paver received the beautiful overall championship trophy designed in Murano, Italy by the artists at Orovetro Murano Company. This gorgeous piece of art is one-of-a-kind and was commissioned especially for the BBC. The glass blue marlin sat atop a teak base created by Murray Products. It is an impressive piece! In addition to the trophy, the team received gift certificates from BBC sponsors Costa, Roff’s Ocean Fishing Forecast and Alexseal. 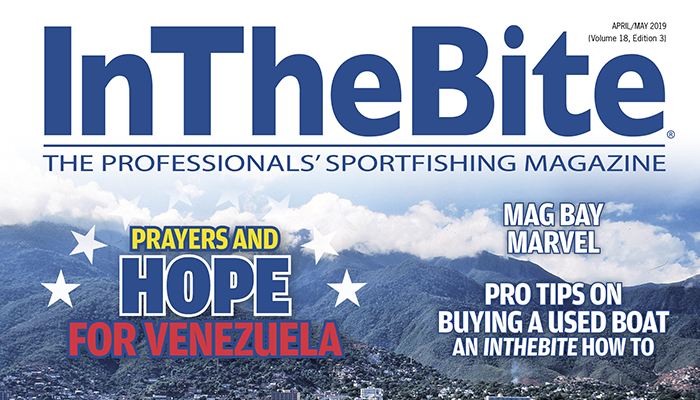 During the 2014 BBC series 85 billfish were released. Of those, 48 were blue marlin, 23 were white marlin and 14 were sailfish. 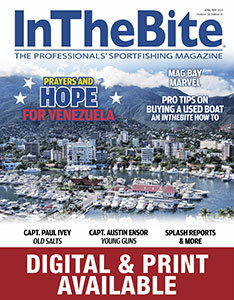 All catches in Bahamas Billfish Championship tournaments are validated using time and date stamped digital images. 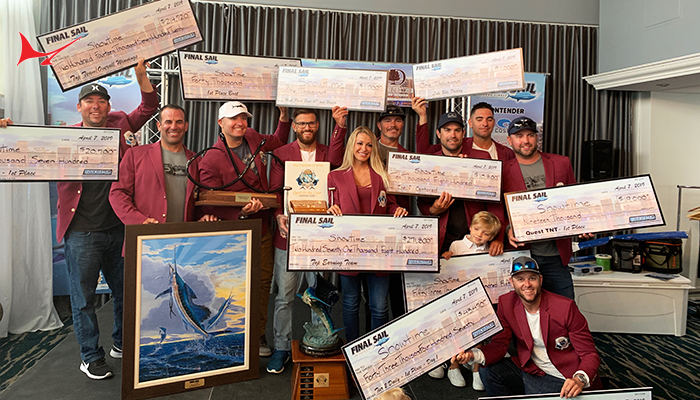 Affidavits signed by all participants fishing on each team further confirms that the fish was released in accordance with IGFA and Bahamas Billfish Championship rules. The 2014 awards ceremony at the conclusion of the Marsh Harbour Championship marked the finish of the BBC’s 41st season. 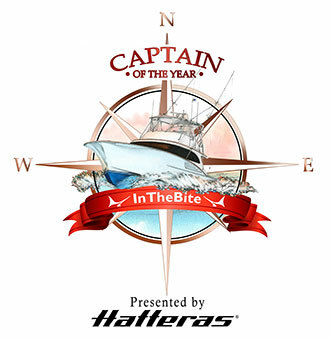 The Bahamas Billfish Championship is the oldest billfish tournament series in the world. 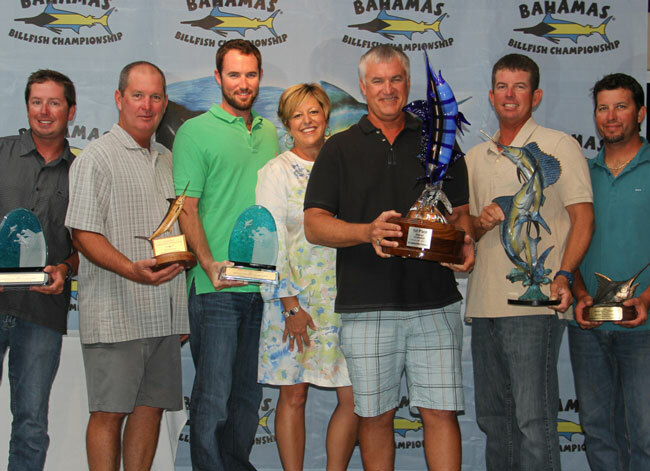 Anglers can fish any or all of the tournaments with cumulative points determining the overall Bahamas Billfish Champion. As an expression of appreciation to the people of The Bahamas, the BBC endowed two scholarships that enable Bahamian students the opportunity to pursue a degree in marine biology or advanced education in the marine technologies. For the latest tournament information, results, and overall standings visit our website at www.bahamasbillfish.com. Be sure to follow us on Facebook (Bahamas Billfish Championship) or on Twitter @bahamasbillfish. View tournament photos at SportfishPictures.com. You can also download the BBC App for your Android or Apple device. Search ‘Bahamas Billfish Championship’ in the Play Store or App Store. 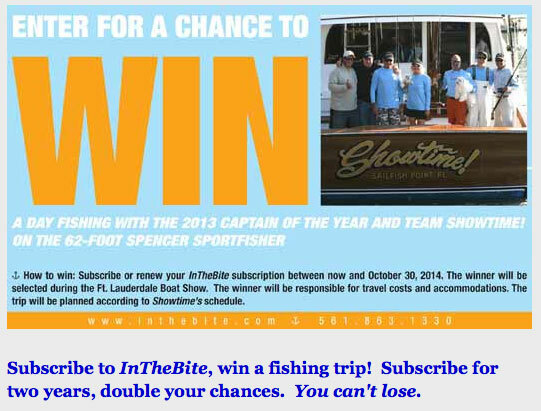 To contact the Bahamas Billfish Championship call 866-920-5577 or e-mail: jennifer@bahamasbillfish.com.